Learn how to implement automated testing with JUnit and Selenium for enhanced browser compatibility. Cross-browser testing is a process by where you test your website over multiple browsers and browser versions running on different operating systems. This is done to realize the cross-browser compatibility of a website or a web app when accessed across a variety of browsers. If your web app isn’t cross-browser compatible, then not only would you be missing out on potential leads but your customer retention could also suffer. These browser differences could be anything from layout to typography, and these cross-browser differences happen as each browser has a unique rendering engine, which is responsible for rendering web elements. However, cross-browser testing can be highly time-consuming if executed manually. Think about how many browser versions you would need to encounter from legacy to modern and the surplus variety of browsers available in the market. You also would have to consider specific browsers offered by specific mobile vending companies. There are ways you could fast track your manual cross-browser testing effort, and automation testing sits on top of the list for saving everyday time and effort. This article references automation testing with JUnit and Selenium for a web application through a simple script. Download and save these files in your system. For detail list on the class files or source files, refer here. Now, let us incorporate JUnit into your Selenium project for proceeding web application testing with JUnit and Selenium. The first block for building collaboration in this article, for testing with JUnit and Selenium for a web application, would be to create our first JUnit Selenium simple script on https://www.lambdatest.com/. The above script opens the browser with https://www.lambdatest.com/ and clicks on ‘free sign up’ button to register. Post register, the script will check the URL it is redirected to in order to ensure a successful registration. We have used two classes of JUnit one is Annotations class and the other Assertions. @BeforeClass – This annotation runs the piece of code before starting any annotation in the class. As you can see here, we have opened the chrome browser before performing any action on it. The main actions are performed in the @Test annotation marked method. @Test – This test method carries the functionality where the application is opened and the registration process is carried out. To validate the result, we have used assertion class where we are validating the success of the registration process using the context of current URL. This test annotation runs the piece of code after the @BeforeClass and @BeforeTest method and before the @AfterTest and @AfterClass method. @AfterClass — This annotation tells JUnit to run the piece of code once all the tests have been executed. This annotation method usually carries the process of closing the browser post all action items have been performed. So far, you have seen how to automate your web app testing with JUnit and Selenium using a local WebDriver instance. However, there is a downside to that. You can only invoke the automated cross-browser testing over the browsers that are installed in your machine. Plus, you need to have your machine every time that you aim for running automation testing with JUnit and Selenium for a web app. It is why testing on the cloud is emerging as a dominant preference worldwide. LambdaTest is a cloud-based, cross-browser testing tool that offers supports with Selenium grid, providing a solution to every obstacle you face while performing automation testing using your local machine. LambdaTest offers a Selenium grid consisting 2000+ browsers for you to perform automation testing effortlessly. 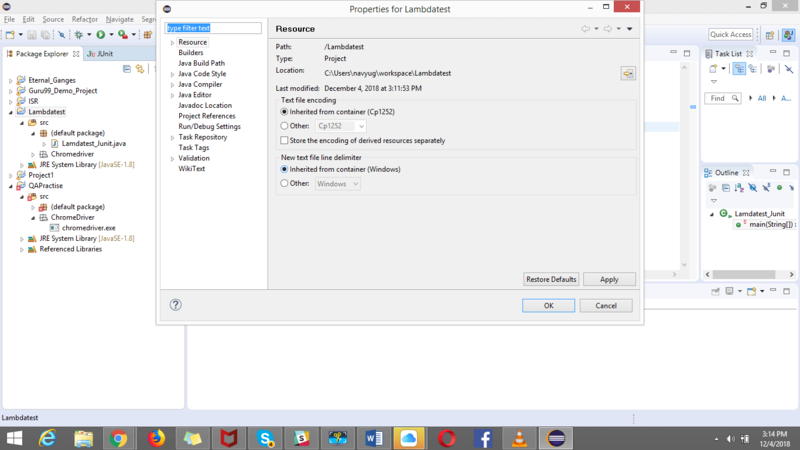 Let me demonstrate how you could easily perform automation testing using LambdaTest. To run your test suite on our Selenium grid, you have to configure a couple of capabilities so that your tests execute on a remote browser. Refer to our Capability Generator Tool to help you fetch your desired capabilities at ease. driver.get("https://4dvanceboy.github.io/lambdatest/lambdasampleapp.html"); //Let's mark done first two items in the list. driver.findElement(By.name("li2")).click();// Let's add an item in the list. driver.findElement(By.id("addbutton")).click();   // Let's check that the item we added is added in the list. Perform the test on your locally hosted web pages. Generate browser console logs for every step executed through your test. Configure a custom time zone for executing your test. Generate network logs through your test execution. capabilities.setCapability(“tunnel”,true); // allows you to run tests for your locally hosted web pages. capabilities.setCapability(“timezone”,”UTC+12″); //considering you want your test to run on the time zone UTC+12. LambdaTest also provides the ability to perform parallel test execution. 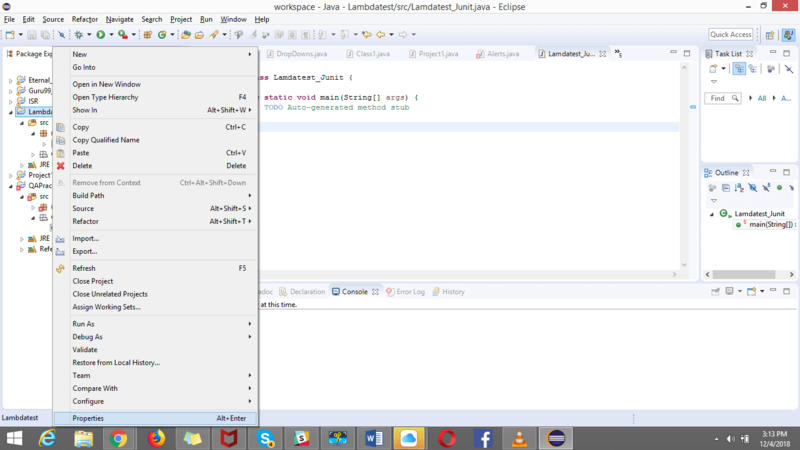 With LambdaTest parallel testing, you could run a similar test across multiple browsers, simultaneously. This helps to bring down the time taken on test build activities, significantly. Here is an example of parallel testing performed to automate web application testing with JUnit and Selenium using LambdaTest. To run a test on different browsers at the same time, you will need to create a helper class that extends the paramerterized class (org.junit.runners.Parameterized) and implements the RunnerScheduler class. Here is an example of JUnit Test; this would be representing the helper class used above for executing the parallel testing. driver.findElement(By.name("li2")).click(); // Let's add an item in the list. driver.findElement(By.id("addbutton")).click(); // Let's check that the item we added is added in the list.